SERN - 10 tips for a successful EER Award 2020 application! 10 tips for a successful EER Award 2020 application! SERN was present at the European Entrepreneurial Region (EER) Award Info Day, on 17 January 2019 at the Committee of Regions. 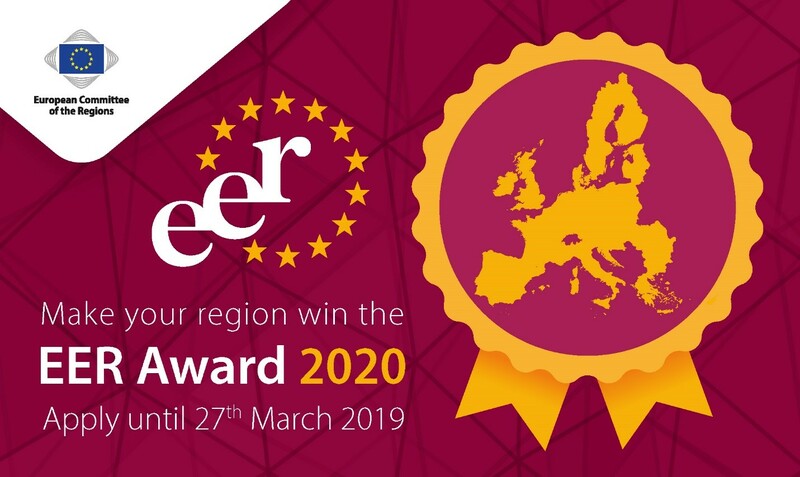 The EER Award is an initiative of the Committee of the Regions to identify and reward EU regions and cities with outstanding, future-oriented entrepreneurial strategies, regardless of their size, wealth or specific competences. The territories with the most credible, visible, forward-looking and promising political strategy are granted the label “European Entrepreneurial Region” (EER) for a specific year. Use links and footnotes to give more information and respect the page limit. The deadline for the submission of applications is the 27th of March 2019. More information about the EER label and the application procedure here.